We join Abby Carvosso, group managing director, Bauer Advertising, as she presents the new Bauer Media narrative, debates metrics that matter at Magnetic's Spark event and resorts to financial bribery at homework time. My husband is an airline pilot, so my week starts with him leaving at 4.30am to fly to New York for the week. It’s then time for me to get up and get our three children ready for school – I manage to run out of the house with the usual last minute reminders to them to practise guitar, remember rugby kit etc. I get on my train and prep for the week, sending emails and catching up on the news – this is my quiet thinking time of the day. Once I get to work, I have back-to-back start of the week meetings looking at our revenue position with various members of the advertising leadership team. I also catch up with Sam Jones, digital managing director of Bauer Xcel (Bauer’s global digital division), to discuss some of the latest developments – particularly around Instream+, our digital audio proposition, and how we further grow our branded content offering through our digital brands and audiences. I then go over to our other office at One Golden Square for a meeting with Lucie Cave, editor in chief of Heat, Tony Moorey, group content director of Magic and Absolute Radio, and our commercial marketing team to plan the session we are doing at the Festival of Marketing. This is a fun meeting for a Monday afternoon and we spend a lot of it laughing about the fantastic video Jamie Laing from Made In Chelsea has just been making as part of a big film related new business pitch. I quickly stop by at Grazia’s pop up office in Carnaby Street, which is looking amazing. The team have been here throughout London Fashion Week, hosting a programme of exclusive fashion and beauty events and producing a special live fashion issue, which will be on sale later this month. Monday evening is then spent helping my 10 year old with her Latin homework. This involves a lot of complaining, as well as putting off her continuous requests to have a look at the new Snap filters. I’m really excited about today as it is the second Spark conference from Magnetic, the marketing agency for magazine media in the UK. It’s a really inspirational morning, looking in particular at the role magazine media brands play alongside other digital environments. Highlights among a packed agenda include new insight from Magnetic and Carat on "Metrics That Matter", plus our own Lucie Cave on a panel discussing influence and how this is changing for magazine media. I then meet up with Liz Martin, our commercial marketing director. We are just coming to the end of a major piece of work around our narrative – we’re always looking at how we can evolve to make sure we’re meeting the needs of clients and agencies and we’re excited to take this to market. Next up are some final edits on my presentations for the Bauer Media Radio Conference, which will dominate the next two days. More Latin homework back at home this evening. This time I have managed to bribe my 10 year old with my new Monopoly-esque five pound note if she gets all her Latin, French and spellings right on Friday at school. Suddenly she is very active with her homework. I am able to have breakfast with the children this morning before they go to school as I have a far more leisurely start than usual – I’m driving down to Southampton to get a plane to Leeds for the Bauer Media Radio Conference. On the plane I read the amazingly brilliant bumper London Fashion Week issue of Grazia. I know the industry was concerned about a Brexit effect, but it is absolutely bursting with advertising and creative partnerships. 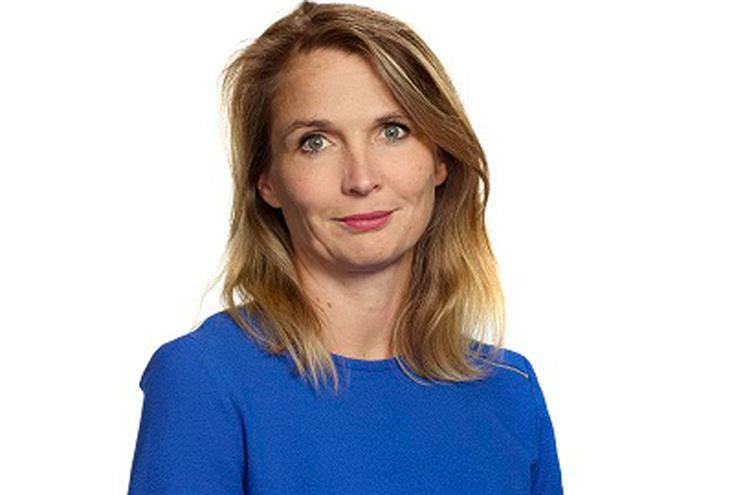 The Bauer Media radio workshop is run by Dee Ford, Group MD, Radio, where we come together to spend 24 hours as a radio leadership group to focus on the next 12 months of growth. Our pre-dinner speaker is the brilliant Matthew Gaunt, head of brand communications at Wickes, which sponsors the Christian O’Connell Breakfast Show on Absolute Radio. He talks about the value of long standing brand partnerships and the changes and successes they have seen at Wickes in recent years. I wake up with no hangover, which is a first for a work conference. It definitely helps with my next task – presenting the new Bauer Media narrative to the radio team. We hear from the content directors, who explain all about the progress we are making in digital audio and radio. We are really proud to be leading the industry in this field – our latest Rajar figures speak for themselves, with 56% of our listening done via a digital device. This is compared to the industry average of 45%. I get back home and desperately want to see my children, but the boys are already asleep so I steal a snuggle before catching up with my husband over a glass of red wine. It’s the end of my working week, as I don’t work on Fridays. As it’s Jeans For Genes Day, I have to raid the children’s piggy banks to find enough one pound coins for them to take in. My son Henry goes to early swim squad so I take the other two to have a hot chocolate before dropping them at school. Because I have been out of the office so much this week I spend the morning emailing and talking to people in the team about what has been going on. I then get myself ready for what is going to be a weekend spectacular – the first ever Empire Live! In association with American Airlines, it is the ultimate film and entertainment weekend at The O2. First up, the opening night gala, with an exclusive double bill Daniel Radcliffe screening, complete with an on-stage interview with the man himself. Now, where’s my dress to impress outfit?